Features: Ready to dazzle day or night? 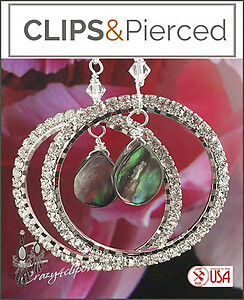 These Rhinestone Clip On Earrings Hoops go from classic to fabulous with the addition of a lovely abalone teardrop, brilliant rhinestones, and accents of crystals. 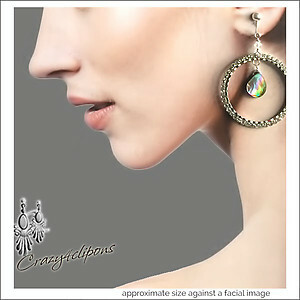 The earrings will look great with your hair down or with a top-knot bun.